If you are attempting to reserve a room beyond the dates of the conference you may receive a message that the room block is unavailable or sold out. However, rooms are still available through the conference dates using the Conference Hotel Reservation Page. If you try to reserve by phone you are likely to be told that the room block is sold out. Availability is limited (or may require a higher rate) if you are attempting to stay over the weekend following the conference. If you are having difficulty with your lodging reservation please contact Jim Campbell at jim.campbell@nofsw.org. At the Hyatt Centric French Quarter New Orleans, you’ll become immersed in the true New Orleans spirit from the moment you arrive. The French Quarter neighborhood is welcoming and lively, with a variety of top sights and the Bourbon Street scene within easy walking distance. 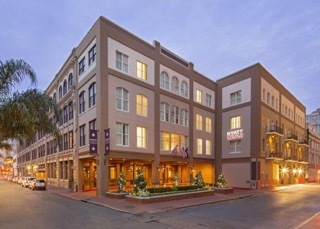 Located on Iberville Street, the hotel features an outdoor swimming pool and 24-hour fitness and business centers. Dine onsite at Red Fish Grill or Powdered Sugar, both of which offer local specialties. Grab a beverage at the chic ambience of the Batch Bar, outdoors poolside, or enjoy the classic Hard Rock Café’ experience. 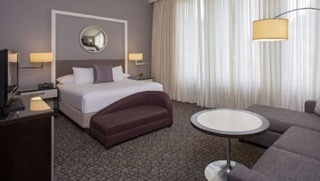 The hotel is located nearby to public transit stops for the bus and streetcar, allowing you to travel to a variety of New Orleans neighborhoods with ease. NOFSW Conference attendees are responsible for their own reservations. The hotel is holding a block of discounted rooms at $159 USD per night for June 18 through June 21. To receive the special discounted hotel rate, you must make your reservation before May 30, 2018. For reservations, visit the Hotel Reservation Page. Space is limited, so be certain to book early. Louis Armstrong International Airport is less than 30 minutes from the heart of New Orleans. Several car rental agencies are located at the airport. Information on taxi or shuttle services can be found on the airport website.